Adaptive optics (AO) corrects distortions created by atmospheric turbulence and delivers diffraction-limited images on ground-based telescopes. The vastly improved spatial resolution and sensitivity has been utilized for studying everything from the magnetic fields of sunspots upto the internal dynamics of high-redshift galaxies. This thesis about AO science from small and large telescopes is divided into two parts: Robo-AO and magnetar kinematics. In the first part, I discuss the construction and performance of the world’s first fully autonomous visible light AO system, Robo-AO, at the Palomar 60-inch telescope. Robo-AO operates extremely efficiently with an overhead < 50s, typically observing about 22 targets every hour. We have performed large AO programs observing a total of over 7,500 targets since May 2012. In the visible band, the images have a Strehl ratio of about 10% and achieve a contrast of upto 6 magnitudes at a separation of 1??. The full-width at half maximum achieved is 110–130 milli-arcsecond. I describe how Robo-AO is used to constrain the evolutionary models of low-mass pre-main-sequence stars by measuring resolved spectral energy distributions of stellar multiples in the visible band, more than doubling the current sample. I conclude this part with a discussion of possible future improvements to the Robo-AO system. 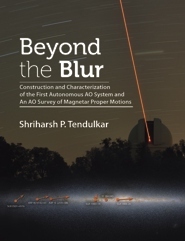 In the second part, I describe a study of magnetar kinematics using high-resolution near-infrared (NIR) AO imaging from the 10-meter Keck II telescope. Measuring the proper motions of five magnetars with a precision of upto 0.7 milli-arcsecond/yr, we have more than tripled the previously known sample of magnetar proper motions and proved that magnetar kinematics are equivalent to those of radio pulsars. We conclusively showed that SGR 1900+14 and SGR 1806-20 were ejected from the stellar clusters with which they were traditionally associated. The inferred kinematic ages of these two magnetars are 6±1.8 kyr and 650±300 yr respectively. These ages are a factor of three to four times greater than their respective characteristic ages. The calculated braking index is close to unity as compared to three for the vacuum dipole model and 2.5-2.8 as measured for young pulsars. I conclude this section by describing a search for NIR counterparts of new magnetars and a future promise of polarimetric investigation of a magnetars’ NIR emission mechanism. Shriharsh P. Tendulkar obtained his Bachelor's degree in Engineering Physics from the Indian Institute of Technology Bombay in 2008. He defended his Ph.D. thesis in Astrophysics at the California Institute of Technology in 2013 working under the guidance of Prof. Shrinivas Kulkarni. For his dissertation, he worked on the world's first autonomous adaptive optics system, Robo-AO, and conducted a survey of magnetar kinematics. He currently continues his studies of neutron star emissions and compact binaries as a post-doctoral scholar with the NuSTAR X-ray observatory. 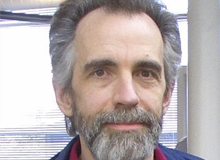 Drexler's Ph.D. work was the first doctoral degree on the topic of molecular nanotechnology and (after some editing) his thesis was published as "Nanosystems: Molecular Machinery, Manufacturing and Computation" (1992), which received the Association of American Publishers award for Best Computer Science Book of 1992.